Easy to use to measure light source chromaticity and luminance, the CS-200 gives precise measurements. You can measure luminance and chromaticity of light sources with a great deal of accuracy using the CS-200 luminance and color meter. Low in price, the CS-200 luminance and color meter features an updated auto mode. This mode is used to determine the speed of measurements in accordance with of the luminance of the light source you want to measure. As an added benefit, the CS-200 luminance and color meter has the capacity to measure any type of light source. You can also measure any light source over a broad spectrum of luminance levels, including levels that range from 0.01 cd/m2 to 20,000,000 cd/m2. Use the adjustable measuring angle to select optimum measuring angles. Based on the application, you have the capacity with the CS-200 to select angles of 1°, 0.2°, or 0.1°. 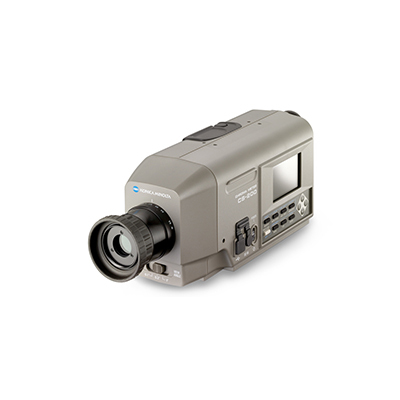 Lightweight and operable using a battery, the CS-200 luminance and color meter offers high levels of portability. 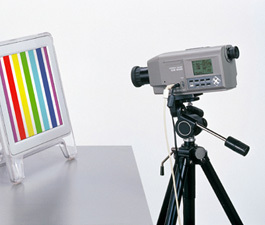 The software included with the luminance and color meter is the CS-S10w. It comes standard with the CS-200 luminance and color meter. You can use the software to observe and manage measurement light sources and other data. It’s also possible to store and save up as many as 101 measurement values and 20 reference values using the software. #2 At 0.2°measuring angle, the amount of received light is approx. 1/25 of that for 1°. Therefore, the repeatability becomes the same as that for 1°with 25 times lower luminance. At 0.1°measuring angle, the amount of received light is approx. 1/100 of that for 1°. Therefore, the repeatability becomes the same as that for 1°with 100 times lower luminance. ∗ Specifications are subject to change without notice.